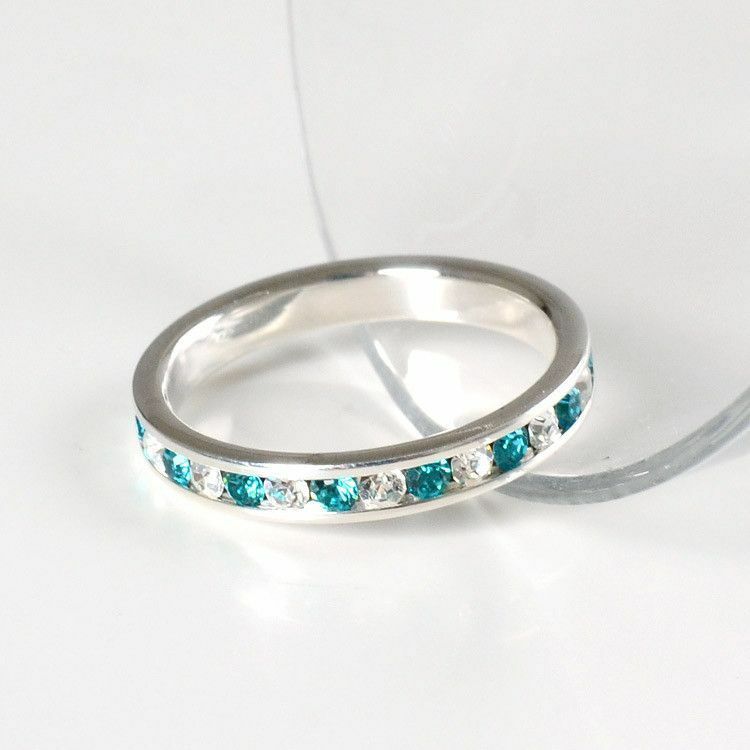 This stackable eternity band ring gets a colorful new look with channel-set aquamarine and white cubic zirconia stones set in rhodium plated sterling silver travelling around the circumference of the ring. This ring could be worn by itself or combined with any of our other great stackable bands. 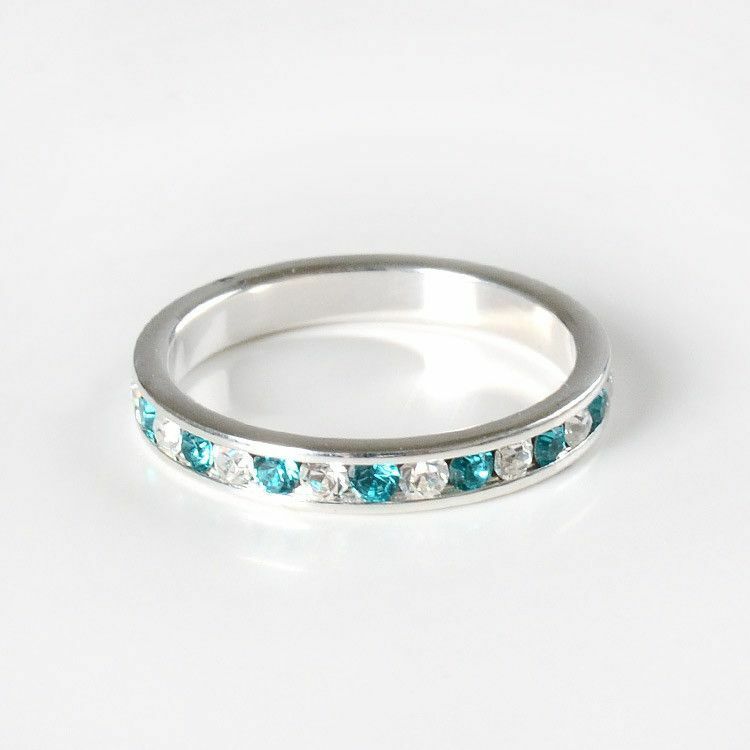 Aquamarine is the birthstone for March.